We are so excited to share this Road Trip Edition podcast with you. 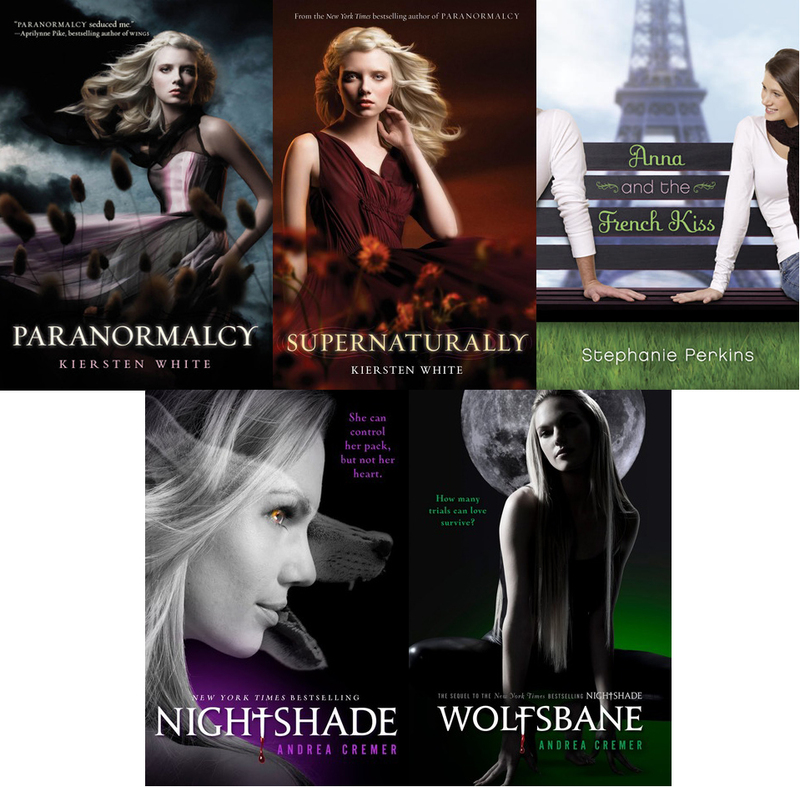 Allison and I were lucky enough to head down to the Barnes & Noble in Oceanside to attend the launch party of Kiersten White's Supernaturally and Andrea Cremer's Wolfsbane. As if that wasn't cool enough already, Stephanie Perkins was also there signing her lovely romance, Anna and the French Kiss. We chatted about their books, fan crushes (go Team Shay! hehehe), French food, how their characters would react if they were to meet, and more. After the interview, we also went out into the crowd to meet some of their fans. So fun! Well that's enough blabbering from me... let's get to the show! Thanks again to Stephanie, Kiersten and Andrea for sitting down with us. Also, thanks to you, our listeners! We really appreciate each and every one of you. We'll be giving away some SIGNED copies of their books along with sharing some event pictures so be sure to become a follower so you'll be the first to know. Excellent interview! It was nice hearing everyone talk about their stories and characters. Also, thanks for asking my questions! Aw, thanks for the comment, Beth! I'm so honored that we'll be part of your flight to Germany. :D You'll enjoy the interview-- thanks again for asking a question, we made sure to get it in there! Thank you so much for listening, Beth, Jennifer, Amanda, and Lauren. :D We really appreciate it. Amanda and Lauren, thanks so much for listening and commenting. And hope to see you at another event in the future, Lauren! This was such an amazing podcast! I listened to it all the way through. Great job! Great podcast! You two sounded fantastic and asked such great questions for the trio of amazing authors. It was a trip to be included so thank you! I'm excited for potential podcasts on iTunes so I can listen to them in my car.